Under the General Data Protection Regulation (GDPR) users of your service or product have a right to control their own data. These rights may take the form of a data subject request to access, rectify, or forget personal data. As the data controller, you may be asked to perform a data subject request that includes personally identifiable information (PII) processed through Vidyard. 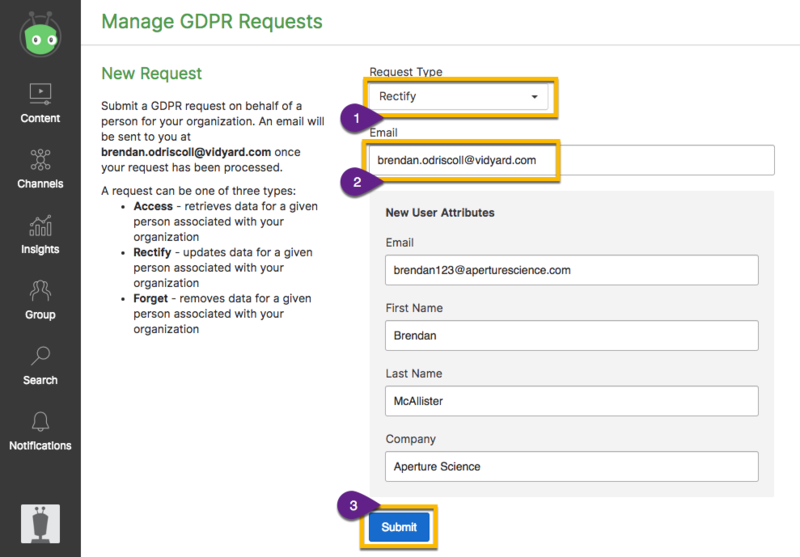 Use the GDPR Request tool to manage these requests in Vidyard. This permission is enabled by default for all admins in the parent group when the GDPR Compliance feature has been installed. Select a Request Type to manage information for a given person associated with your organization. The request will be made against data associated with an email address for your entire Vidyard organization. 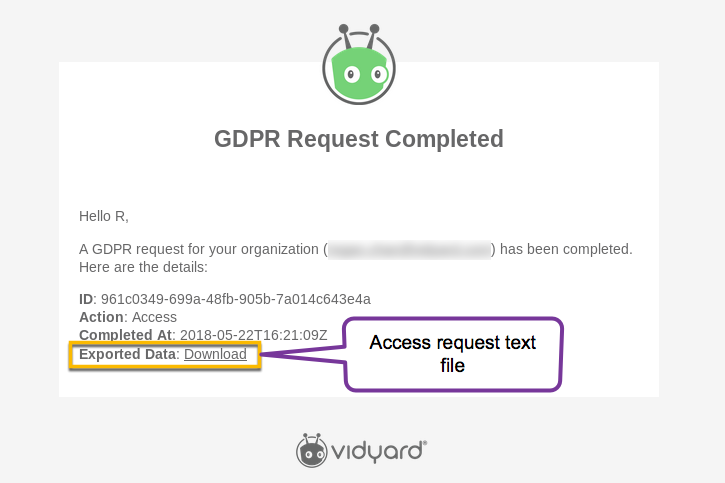 The Vidyard user who submits a GDPR request will receive an email confirmation when the task has completed. Keep record of the receipt ID as Vidyard does not hold this information. Access requests will also return a text file that contains all data associated with the given email address. The file will expire after 7 days.